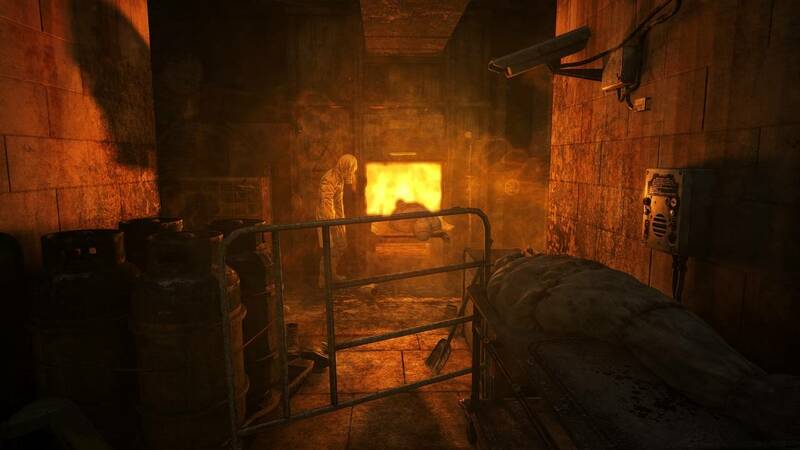 While not a huge improvement over its predecessor, Metro: Last Light is still an amazing experience. 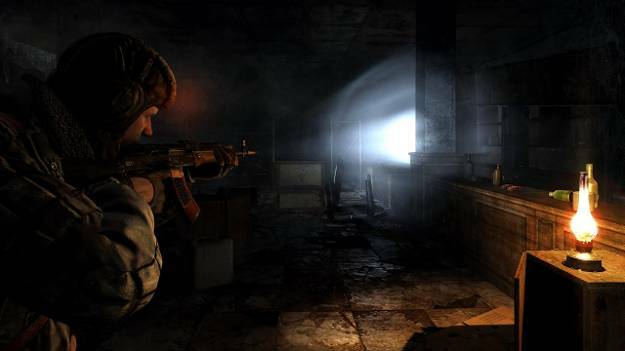 Controls feel more much responsive than in previous game; the plot has been expanded upon; all graphics have been noticeably improved; weapons have been improved in a variety of ways; most of the gameplay has been touched up and improved. An almost bewildering array of minor issues; the plot sputters out in the last few hours; ending leaves a “meh” feeling; some serious missed opportunities. 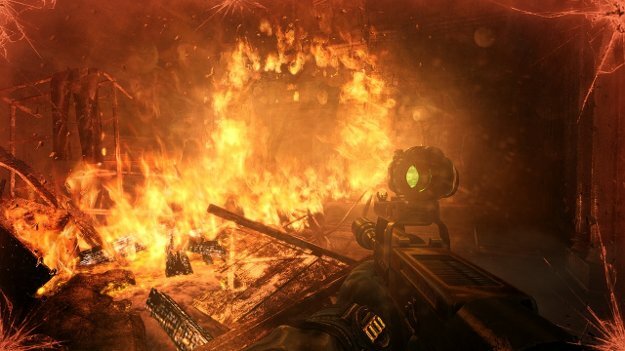 When Metro 2033 was released in 2010 it really carried a lot of promise with it. 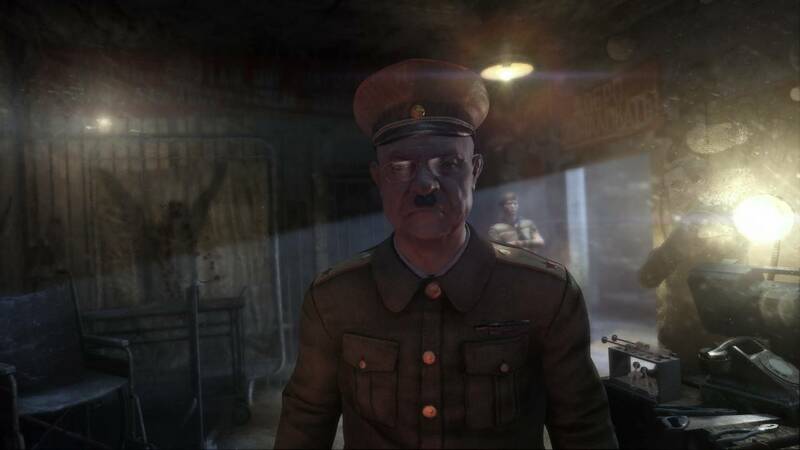 Here you had a game that took most of the conventions that have drained most of the fun out of modern shooters, such as regenerating health and carry limits on guns, and then managed to make them feel important to the game experience. It did this while carefully balancing the difficulty, making it accessible to newcomers while also readily presenting a challenge to those who were willing to brave hard difficulty or, lord forbid, the Ranger DLC. 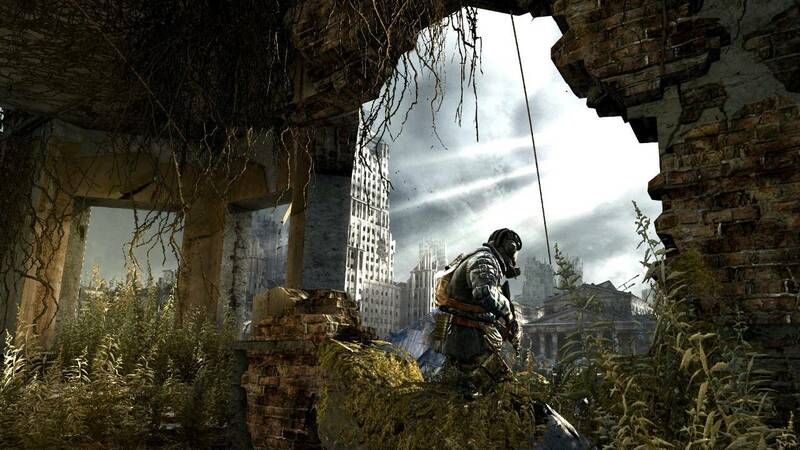 I was a huge fan of Metro 2033, rating it rather highly especially when compared to most other reviewers, so when a sequel was announced I was there. 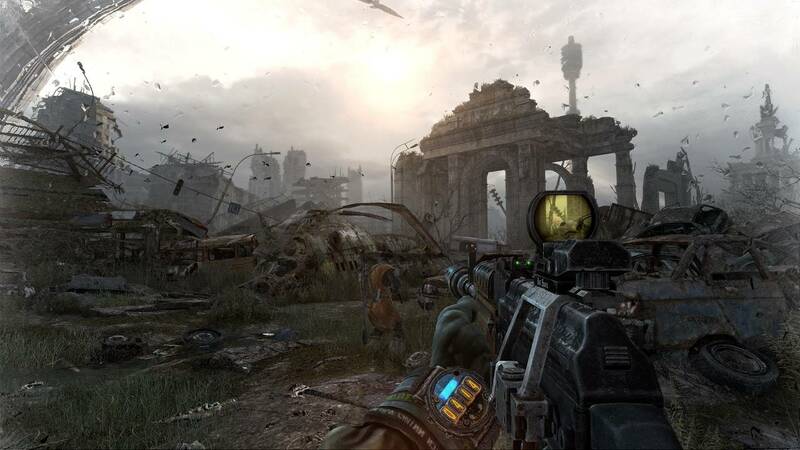 Metro: Last Light was my most important booth visit at E3 2012. 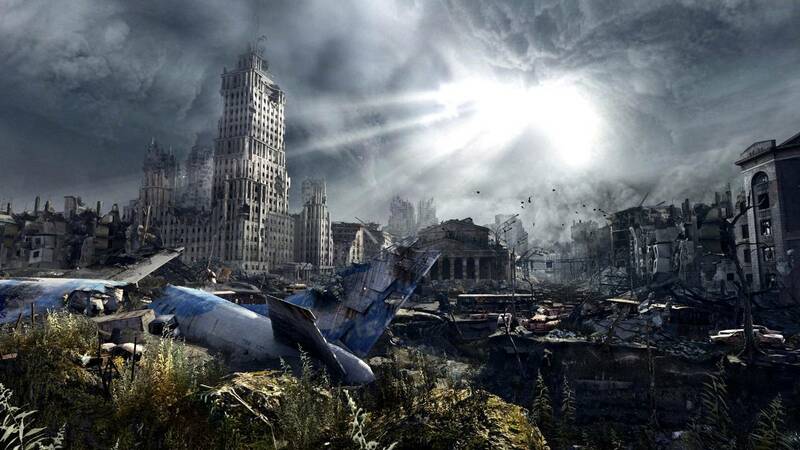 I’ve got a bunch of Metro: Last Light swag sitting around that I can’t wait to put around the house. To be frank, I was sure that I was either going to love this game or be utterly betrayed by how far it missed the mark. How did it fare? Well that’s complicated. Last Light picks up from where the last game ended, taking the “bad” ending as canon. The Dark Ones have been obliterated by a missile strike that Artyom (that’s you) launched against them. Artyom has been plagued by nightmares since he launched that strike but a potential for relief comes. Khan, an ally from the first game, returns with news of a Dark One sighting. 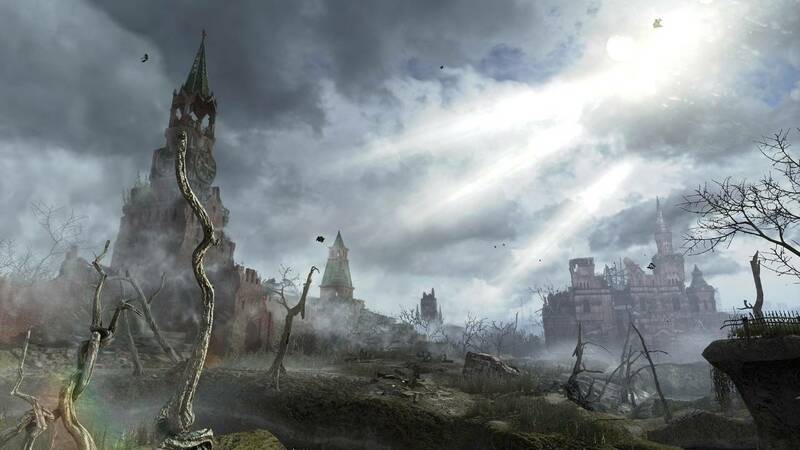 He pushes Artyom and his Ranger allies to investigate it so as to potentially find some salvation from their actions of the previous game. 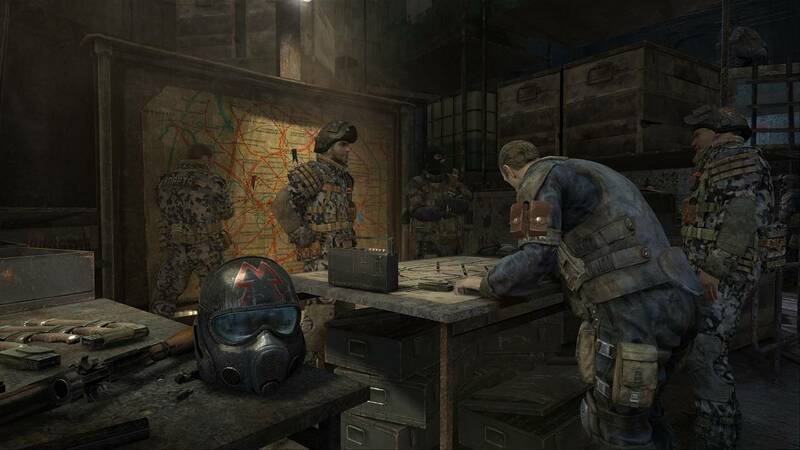 These events are made more complicated by the slowly burning war that is gearing up to tear the Metro apart as the Nazi’s prepare to attack the Rangers, uncaring of what might happen to the innocents caught between them. The plot is sound and the way it unfolds is actually quite interesting. Add in some interesting characters and it should be a top tier storytelling experience. But the way the story is told ends up feeling far too uneven. The game is about eleven hours long but after the first seven hours the plot is more or less done barring the finale. At that point you’re basically just trudging your way through level after level of surface exploration. It feels like so much padding that the game just ends up dragging on and on. To top this off the endings, while not bad, aren’t really all that fulfilling. So the game manages to have more plot than the original but yet fail at presenting it. This trend of massive highs, followed by stumbles continues to pervade the rest of the game. 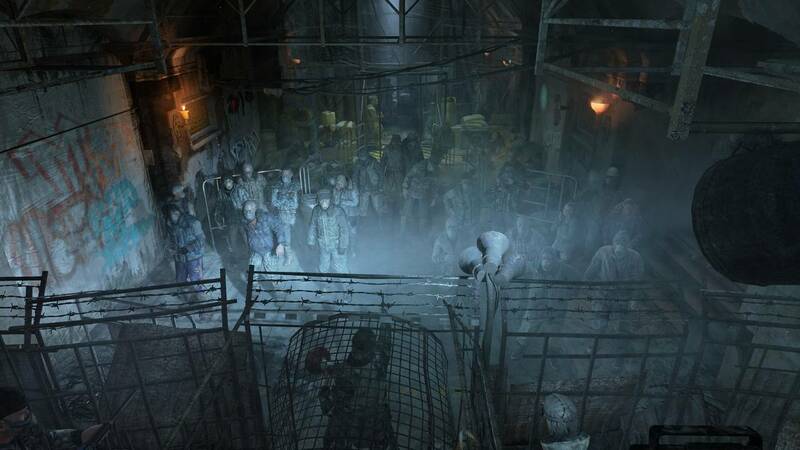 For example, the gameplay has been tightened up all around. 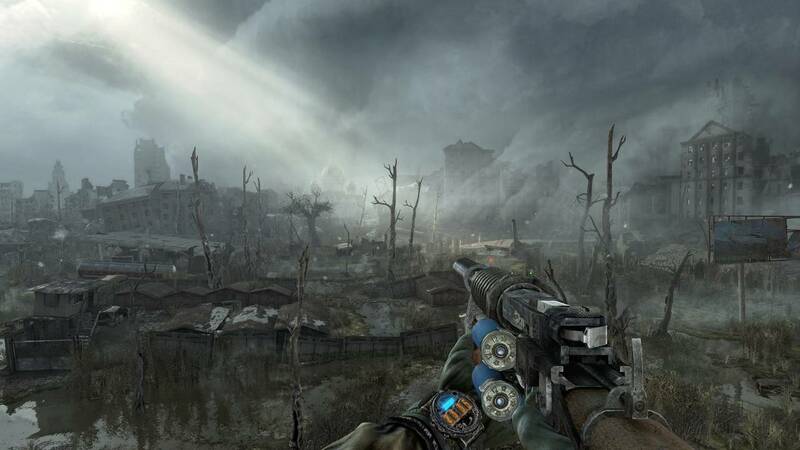 Artyom controls smoother, the shooting feels more accurate, the A.I. 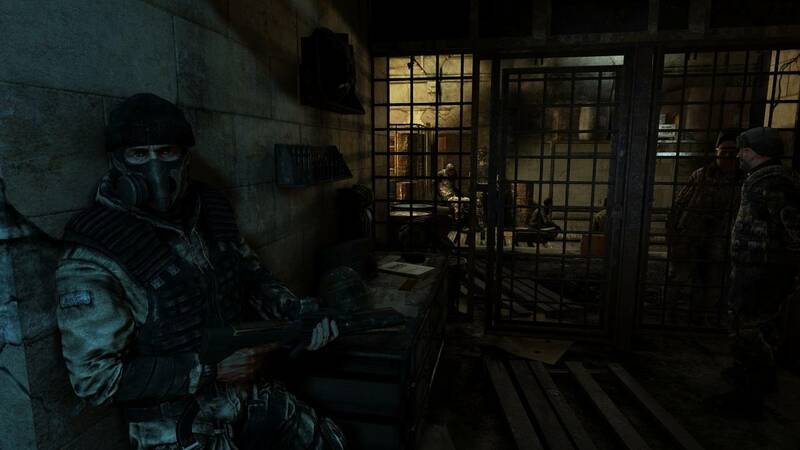 problem solving handles taking cover and responding to hostiles in a much more intelligent fashion and stealth functions a lot more reliably. Unfortunately while the A.I. might be smarter most of the time they’re apparently blind as a bat if you’re sneaking in shadows. You can literally walk past a guy, three feet in front of him, without him noticing you at all if his helmet light is turned off. 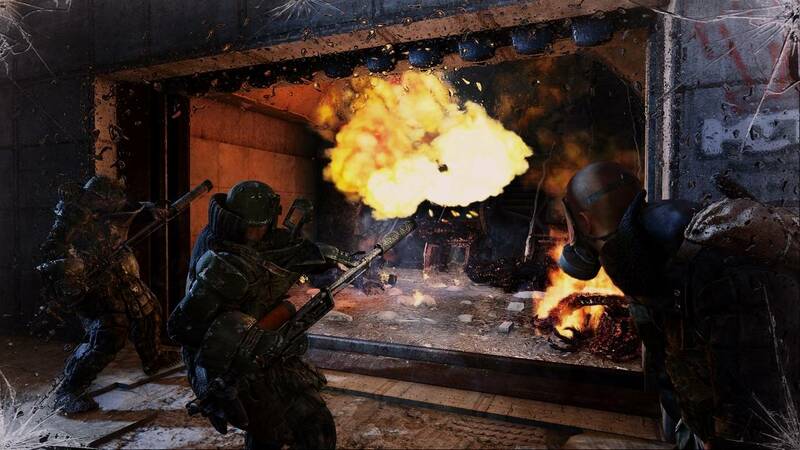 The enemy also seems to have some issues coping with grenades, as they’ll try to run from them and sometimes end up stuck in a corner. Another example of these uneven changes is the way the game handles weapons. In this game there seem to be fewer guns, or some of the guns are just very rare, but you can now customize your weapon with better stocks, barrels, silencers, scopes and other accessories to help you out. This is a great idea but it leaves you clinging to a few very specific weapons and you’ll be quite hard pressed to buy new ones since you then have to buy upgrades for that one as well. 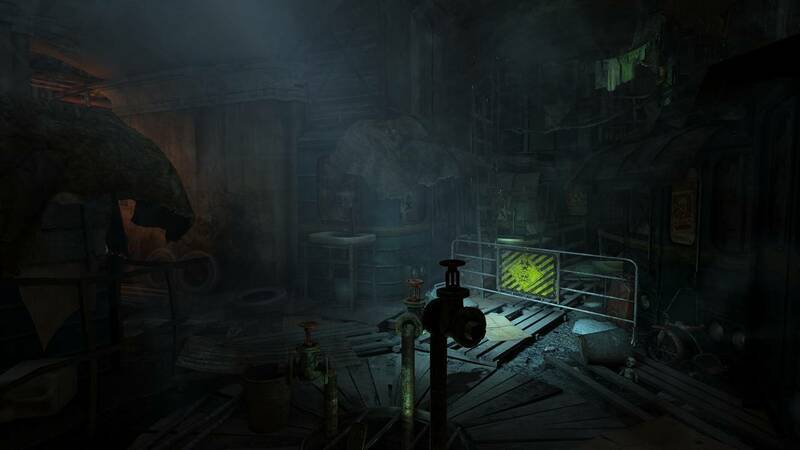 Lastly the graphics have seen a huge upswing in quality from the last game, especially when you’ve got your computer blasting the game at maximum settings. Regardless of how grimy and dingy the underground is, cranking the settings up really lets you just see the blasted beauty of the surface through your misting gas mask lenses. Of course this graphical fidelity comes at a cost and that cost is your PC chugging every now and again. 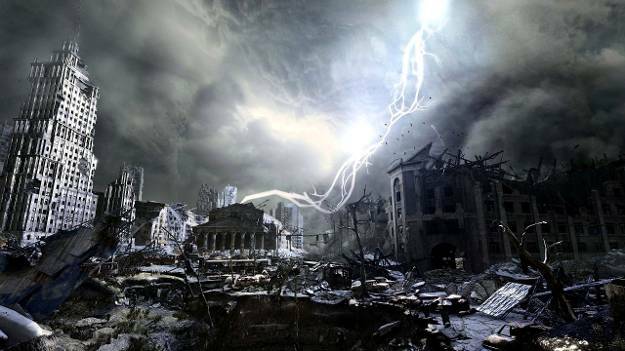 When the rain is hammering down on you or there are a lot of enemies attacking the game will unavoidably start to slow down as it tries to process every individual thing that’s going on. Not a deal breaker but it can be annoying to have your super expensive rig grind down due to rain in the middle of a heated gunfight. 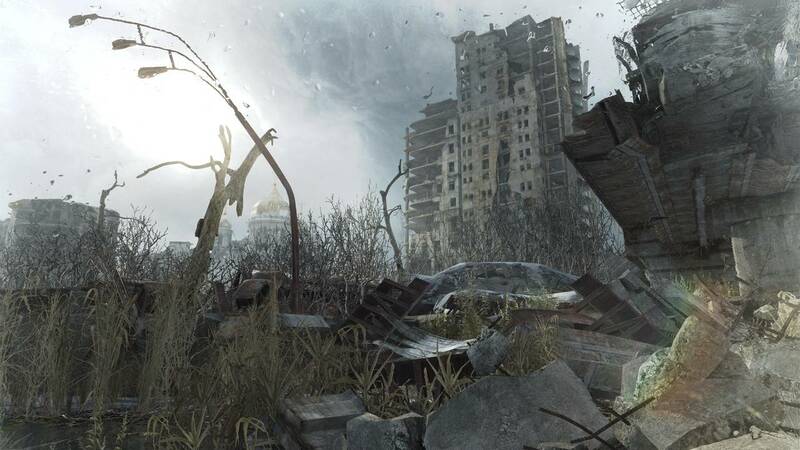 But none of that really matters when the game is doing what it does best: immersing you in this destroyed world. 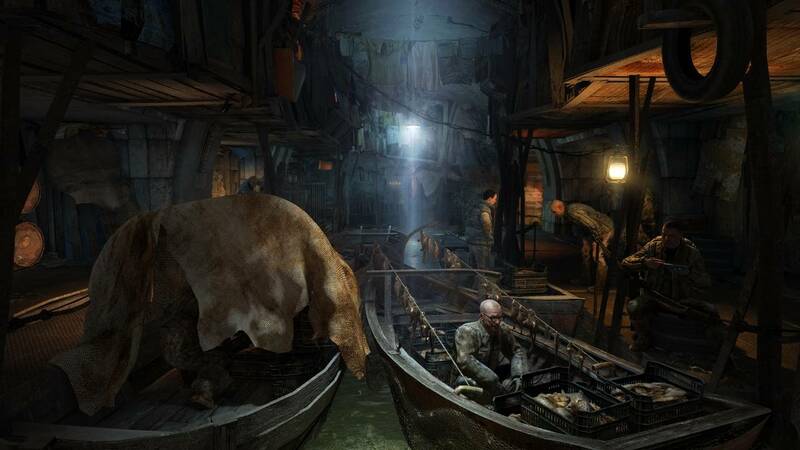 The immersion is helped by the fantastic ambient sounds that do their best to draw you into the world, or terrify your pants a different color… sometimes both at once. Most of the voice acting is nothing to write home about, but it’s serviceable and mostly inoffensive. But it really shines when you’re in the areas haunted by shades of the past. The whispering, soft sibilant noises are almost entrancing which makes the revelation of what some of these areas truly look like through the mind’s eye to be utterly horrific. Perhaps the biggest complaint to be leveled at the game is that it just misses opportunities. The flashbacks and visions are amazingly intriguing but they don’t happen often enough to really figure in. In the same vein you get a partner who has some extra-sensory talents that he can share with you. But he only uses these in small bursts at scripted moments. Giving you the ability to call on their aid would have made for a bit more interesting gameplay in that final slog through the game but it’s left more or less undeveloped which is a real shame. To further the "great but missing something" aspect of Last Light it manages to feel both perfectly complete and kind of lacking on all formats. If you play on the PC then the button bindings can be a huge pain in the wrist. Even changing the default keys doesn't fully alleviate this since there are so many keys that need to be in constant use that it took forever to fully remap the keys to a comfortable position. But on the consoles you have to deal with a pair of sub-menus that make everything from turning your light on / off, wiping your mask off or changing filters a bit more complicated than they need to be. Neither of the problems are impossible to deal with but they end up dulling the experience a bit. 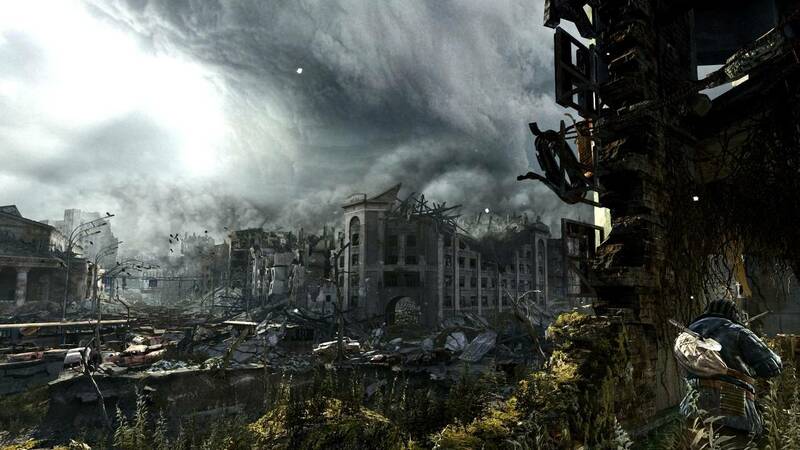 Frankly Metro: Last Light ended up being a little grayer than I expected. This is a somewhat flawed game and how much you agree with the review score will be entirely dependent upon how grave the issues the game has seem to you. For me this is a damn good game but it squanders what it has going on for it. While it might technically speaking be a more solid gaming experience than its predecessor it seems to suffer in the game design department which is a shame. That said this is still an amazing game that anyone who enjoys shooters and / or horror titles should give a try. This game has officially removed Bioshock: Infinite from my Xbox and replaced it rather soundly.